We live in the post-truth era of "alternative facts". Regardless of your personal views, some truths are cold, objective facts. Neil DeGrasse Tyson famously said "that's the good thing about science: it's true whether or not you believe in it. That's why it works." So what would it take for you to change your mind? Most of us, whether we admit it or not, exhibit confirmation bias. Any information that confirms our beliefs is uncritically accepted, while any information that directly challenges our beliefs is intensely scrutinized and is often dismissed (e.g. "fake news"). This isn't my opinion, it's a pretty well-known phenomenon in psychology. What does this have to do with whisky? A lot, actually. 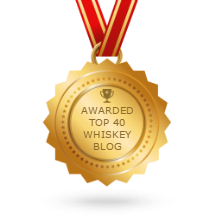 There are several seemingly minor (well, one not so minor) issues that polarize the whisky world into bitter rival factions. And on these issues, both camps seem intent on convincing as many people as possible that their side is the sole arbiter of truth. Both contingents refuse to acknowledge valid points from the other side. Whisky "connoisseurs" dismiss anything that contradicts their ideas and beliefs as corporate propaganda. Representatives of some corporate conglomerates dismiss their critics as "uninformed hot-heads who don't know anything about whisky". Allow me to tackle these points as fairly as possible, presenting both sides of each issue and my synopsis. 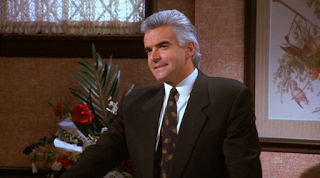 I'll save the best, most interesting, most contentious issue for last. "Appearance, the colour of your Scotch in your glass, is of huge importance. That’s why, for generations, blenders have used spirit caramel, an entirely natural product, to even out the entirely predictable colour variations between different batches of whisky, a practice long enshrined in the Scotch Whisky Regulations." Morgan also makes a strong argument by stating that the minute amounts of spirit caramel used in scotch whisky do NOT affect the taste. Caramel colouring is actually quite bitter, not sweet. It would be illogical, Dr Morgan argues, to "spoil" a product with caramel colouring after it's spent years maturing in various barrels. Morgan notes that when put to the test under rigorous conditions, even so-called experts cannot detect the presence of E150A. You can't taste it and some people prefer the even, predictable colour. So there is no real downside, other than the ire of cantankerous whisky snobs, according to the pro-colouring people. 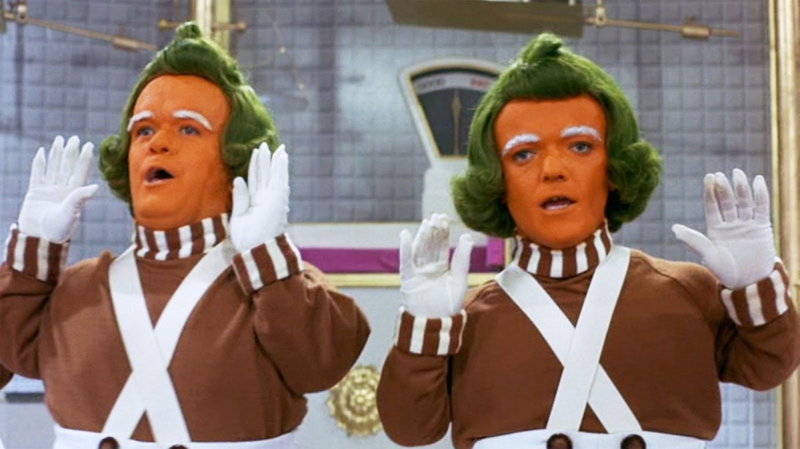 Is E150A the Oompa Loompa of whisky? 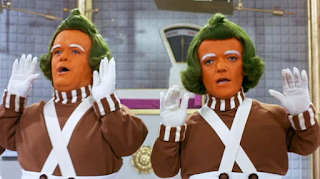 Those opposed to caramel colouring compare its use to a fake tan. They allege that distilleries using caramel colouring are deliberately misleading their consumers. A deep ruby colour suggests longer maturation times, sherry cask influence and "deeper" flavour. And in these days of disappearing age statements (more on that later), opponents accuse distilleries of disguising younger, allegedly inferior spirits with caramel colouring. Adam Hannett, head distiller at Bruichladdich, insists that caramel colouring affects a whisky's taste. He also emphasizes the fact that whisky will always exhibit colour variations and that consumers should understand this. Jim Murray, controversial author of "The Whisky Bible", has also been a vocal critic of E150A's use. In an interview with the great website "The Whisky Exchange", Murray said: "The industry says caramel does not affect the flavour; yes, it does, massively." I'm a bit ambivalent on caramel colouring. I understand why distillers use it, but I worry it misleads some consumers. I think Dr Morgan and his ilk give consumers too little credit. Are people going to stop drinking their favourite whisky because the colour is a bit lighter or inconsistent from one bottle to the next? I doubt it. The smell and taste of whisky are the important aspects of the experience. But then, maybe I'm wrong. I can understand E150A's use in cheaper blends like Johnnie Walker Red, but why bother with a single malt like Caol Ila 18? People who are willing to spend that kind of money on scotch know about colour variation. I think Dr Morgan's logic inadvertently makes the best argument against the use of spirit caramel. In the aforementioned interview, he states that whisky naturally has "predictable colour variations", but then goes on to argue that whisky needs to look identical from bottle to bottle since it's "a measure of authenticity and product integrity." If colour variations are natural, isn't it authentic to have variations in colour from one bottle to the next? Isn't the use of colouring disingenuous? Or is Dr Morgan referring to brand "authenticity"? I believe Dr Morgan is referring to the latter version of "authenticity". Ultimately, I agree with Dr Morgan on at least one thing: taste. Unless you're a super-taster, I doubt that you can detect the taste of caramel colouring in your scotch. Saying you can tell means you're probably biased on this issue and unlikely to change your mind, regardless of what the evidence shows. I wonder if Jim Murray would be willing to do a blind tasting to test his claim? The use of caramel colouring is not a huge issue for me. I'd prefer it if distilleries didn't use E150A, but I won't deliberately avoid a whisky that does. And for the record: I don't put much stock in catch-phrases like "natural" and "authentic". These are marketing terms, not taste profiles. I wonder if Suzie was in favour of chill-filtration? The process of chill filtration involves dropping the temperature of the whisky to zero degrees Celsius in the case of single malts and -4 degrees in the case of blends. Once chilled, the whisky is passed through a series of tightly knit metallic meshes or paper filters under pressure. During this process, any other sediment or impurities from the cask (called 'coals') that are present will also be removed. Whyte and Mackay Master Blender Sir Richard "the Nose" Paterson spoke to this issue briefly during an interview with Mark Gillespie. He states that chill-filtration does NOT affect the taste at all. Paterson explains consumers are skeptical when distillers tell them cloudiness in an unchill-filtered whisky is "natural". He states that several people believe that a whisky is "off" if it is cloudy. He adds Dalmore does have expressions (albeit costlier ones bottled at higher ABV) which are not chill-filtered and that consumers have the right to choose which one they prefer. The Glenlivet website also has a section on chill filtration wherein they mention that some people prefer the taste and mouthfeel of a chill-filtered malt. Human taste perception is complicated, they say, so you have to find your own preference. Most Glenlivet expressions are chill-filtered. A study conducted by Dr Horst Lüning showed, despite a relatively small sample size (111 experts testing 24 whiskies), that even so-called "experts" could not tell the difference between whiskies that where chill-filtered and those that weren't at a rate significantly above the statistical mean. Opponents of chill-filtration insist that particles filtered out must influence taste. Not all of a malt's flavour compounds are water and ethanol-soluble. Thus removing the micelles, the particles which clump together to create cloudiness, during chill-filtration removes flavour compounds. Or so the argument goes. Those opposed to chill-filtration insist that removing these esters and fatty acids leaves the consumer with a watered-down, inferior product. They add that these chill-filtered products are usually bottled at a lower ABV because the distillers want to stretch the stocks to make more profit from diminishing supplies. The result, they say, is more low quality whisky flooding the market at elevated prices. The influence of chill filtration, on the quality of whisky is merely a marketing claim. Neither can the participants identify the filtration method, nor is the quality rated better. Instead of falling for the argument of non chill filtration the consumer should better aim for an additional maturation in ex-sherry or wine casks. Here an improved quality rating is statistically measurable. There is, in the anti-chill filtration faction, a strong tendency to use the appeal to nature fallacy. Briefly stated, they believe natural = good, and extra man-made steps = bad. They type this on their iPhones, iPads, or they vlog this and upload it to YouTube. Apparently the irony of ranting against modernity on the World Wide Web is lost on them. I'm not really sold either way on this one. I understand the business perspective of wanting to appeal to as a wide a market as possible. Chill-filtration helps with consistency and perception. Is it deception if distillers perpetuate this perception instead of educating their consumers? Perhaps. 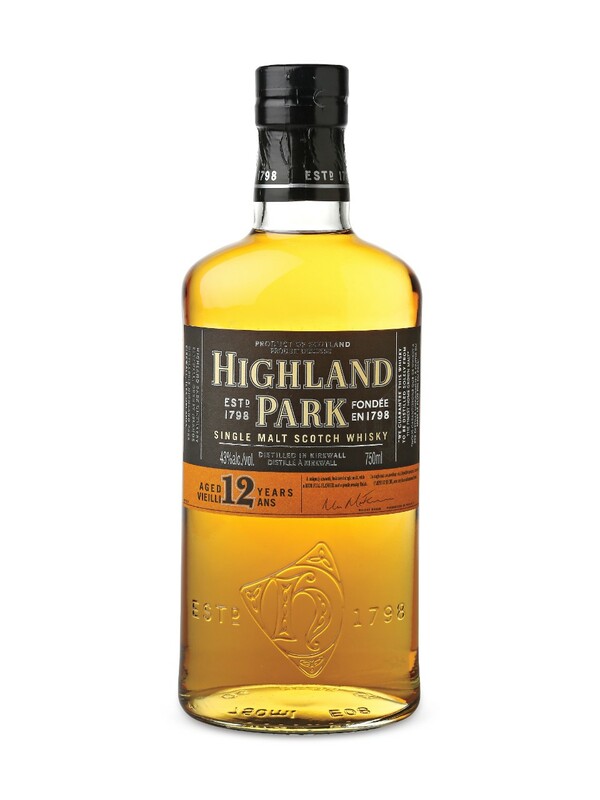 It's hard to dismiss the fact that a scotch expression bottled at 40% will yield greater profits than one bottled at 48%, as the former is more diluted, yielding more bottlings per batch. And the bottle at 40% is unlikely to be more affordable, so savings are not passed on to consumers. Also, unchill-filtered expressions are often sold at a premium, so consumers are paying more for a product that theoretically costs less to produce as the chill-filtering step is omitted. Distillers are simply increasing their profit margins, under the guise of taste preference, which is their right. But they may want to consider the damage this might inflict upon the reputation of their brand(s). 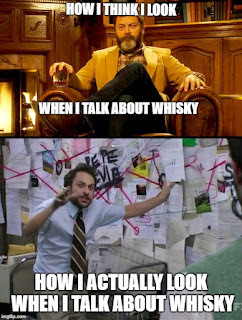 The truth is scotch "enthusiasts", the ones who really care about this stuff, are few and far between. Most people who drink scotch buy a bottle of Ballantine's, Johnnie Walker, Famous Grouse or Grant's, serve it over ice and don't think about any of this stuff. If big corporate conglomerates lose the business of a guy like Ralfy (or yours truly), they aren't going to lose sleep over it. The demand for high-end scotch in China is booming, and that's a much bigger market than Canada. That said, I remain an advocate of honesty with regards to labeling. If you're paying over $80 per bottle here in Ontario, I think you deserve to know exactly what you're buying. This idea is not without precedent; labeling laws in Sweden and Germany require distilleries to disclose the use of caramel colouring. Similar laws could be enacted regarding chill-filtering. Or distillers could simply tell you what you're buying. Ultimately, chill-filtering and caramel colour aren't a deal-breaker for me. Lagavulin 16 Year Old, which is both chill-filtered and coloured, remains my favourite malt. These debates are interesting, but I think obsessing over it is nano-analysis. What is the difference between the two? Anyone? Anyone? Bueller? Bueller? They're both from Macallan, a distillery of noble repute. They both look rich and sweet. They both sell for about a hundred bucks per bottle (in Ontario). The one on the left contains malts from the Macallan distillery which have been matured for at least 12 years. The one on the right contains malts from the Macallan distillery which have been matured for at least.....how long? 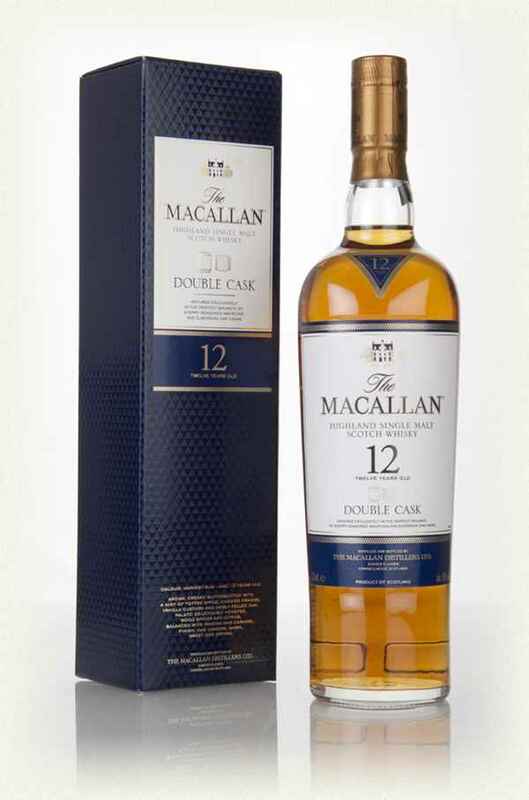 Macallan won't say (note: according to Scottish law, all scotch whisky must be matured in oak barrels for at least three years). You may be getting a high proportion of whiskies older than twelve years, or you may be paying the same money for much younger whiskies. Aye, there's the rub. Here are the arguments for and against No Age Statement (NAS) scotch. When the rush towards single malts occurred in the late 1970s and early 1980s, the easiest thing to create a credential was putting numbers on bottles. It justified higher price points and it gave them integrity. [The industry] decided to teach people that age equated to value, so in some ways, it’s a situation of our own making. Watered-down and inferior. Mischievous and deceitful. Chicanerous and deplorable. NAS scotch is a clear violation of your rights as a consumer. It's an infringement on your constitutional rights. It's outrageous, egregious, preposterous. At least, that seems to be the sentiment from the anti-NAS crowd. If you’re spending £40 (ed: about $75 CAD) or more on a single malt, wouldn’t you want to know what’s in the bottle, rather than just the fancy name on the outside? Of course age isn’t everything and there are some very good young whiskies out there. But I think the thing that annoys consumers, and certainly annoys me, is the fact that people are bringing out NAS whiskies that are quite clearly younger than the whiskies they’re replacing, yet carry a 50% price increase. Re-read that part in bold. That's not a mistake. Ah greed, the heart and soul of capitalism innovation. Without age statements, how can Macallan explain to the retailer, or the consumer, the difference between an $80 bottle of Macallan Gold and a $315 bottle of Macallan Ruby? Is it because the deeper colour means the Ruby expression contains a higher percentage of older spirit? But wait, don't distilleries present "age does not equal quality" as an argument in favour of NAS whisky? Why should consumers trust distillers whose narrative is internally inconsistent? The argument against NAS scotch boils down to economics: distilleries are producing and bottling younger scotch which lowers the cost of production. HOWEVER, they are charging the same price (or sometimes more) for malt whiskies with catchy names (Superstition, Amber, Storm, Rare Cask, Cigar Malt Reserve) as they would for age guaranteed scotch. 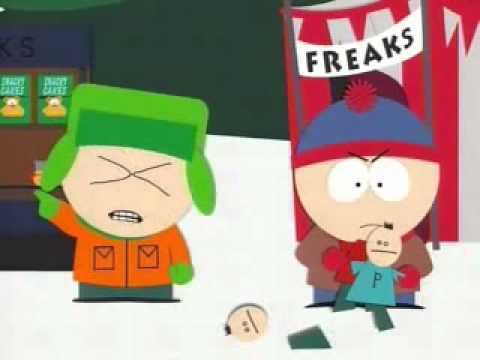 The anti-NAS crowd calls shenanigans. Shenanigans has been declared ! I've had a few NAS expressions. I've liked many of them. Loved a few of them. A good friend of mine loves Macallan Sienna. Aberlour A'Bunnadh is a favourite among many scotch enthusiasts. Laphroaig's Quarter Cask is one of my favourite malts. To Laphroaig's credit, they don't try to hide the fact that QC contains whiskies as young as 5 years old. Their promotional video states that QC contains whiskies between 5 and 11 years old. Shouldn't taste be the only thing that matters? Maybe. I have to side with the No Age Statement critics on the economic front, however. If you want to sell me a whisky comprised mainly of malts less than 10 years old, the sticker price should reflect it. Are we paying for the shiny new labels and marketing slogans? A good product will always sell if it is fairly priced. Would you pay $75 000 for a base model Honda Civic if the name was changed to Acura? I know I wouldn't. That's not a knock against the Civic, but that price point would not be fair value for what you're getting. Aberlour has been selling A'Bunnadh, an NAS expression, for almost 20 years. It is almost always favourably reviewed. It is bottled at a whopping 60% ABV and sells for about $100. Most seem to think that this is fair market value for a cask strength whisky, even if it contains younger spirit. I feel the NAS category would be well served if distillers were more forthcoming with information about the contents of the bottle. Let's say a successful Speyside distillery, let's call it MacLeod, is running low on 12 year old spirit at its North Kilttown distillery. They have a few options. They can reduce the number of bottles going out the door and raise the price of the 12 year old expression. They can keep everything as is and risk running out of stock. Or they can blend some 12 year old malt with some 8 year old, some 6 year old and some 4 year old malt and rename the new expression "Starboard" in honour of their founder Angus MacLeod who may or may not have been a great sailor. The MacLeod website can then write up a section on their founder's exploits (real or invented) and release a whole range of expressions based on nautical terms to mask the fact that you're paying more for younger whisky. The newer expressions might taste great, but the price increase is NOT economically (or ethically) justified. The 15 year old might be replaced by the new MacLeod "Squall", the 18 year old might be replaced by the new MacLeod "Captain's Table". They could even take some of their remaining 25 year old stock, water it down creatively blend it with younger whiskies "for balance" and sell it as a limited edition bottling of "Admiral's Reserve". MacLeod could, alternately, prove themselves true pioneers and tell its consumers that the new MacLeod "Squall" is a "special blend of carefully selected malts: classic 15 year old malt made richer by the addition of some 17 year old sherry cask-matured spirit, perfected with a refreshing infusion of 7 year old spirit for a crisp, balanced finish"**. Or something along those lines. Now consumers still wouldn't know exactly how much of each whisky was in the hypothetical "Squall", but it would be a start. MacLeod distillery could even take the revolutionary step of pricing their new NAS expressions fairly. Add a small print on the box or the back of the bottle stating whether or not the malt was coloured and chill-filtered and you'd have all the critics singing MacLeod's praises. **Edited Sept 24/2017: I have researched this further and current Scotch Whisky Regulations (and some EU regulations) prevent distilleries from providing the consumer with any age-related information other than the youngest malt in an expression. That means the bottle, box and even the website's promotional materials can only tell you the age of the youngest whisky in the bottle. However, this doesn't change my opinion. The Scotch Whisky Association could petition the UK and EU governments to change certain regulations. They could, at the very least, make public statements to inform us they are making efforts to allow producers to be more transparent about the contents of their whiskies. Compass Box tried to be more forthcoming with what's in the bottle and was taken to task by the SWA for it. The truth is, many big players do NOT want transparency. Some of the big players' image might suffer if some distilleries started providing more information (age of all component whiskies, the percentage of volume each whisky represents in a bottle, the casks used for each whisky) while the big guys refused to do so. Thus many mega-corporations have a vested interest in maintaining the "mystique" and preventing too much information from going public. A sad state of affairs indeed. None of these issues will be resolved any time soon. Like most malt-lovers, I understand the reason NAS expressions are becoming more common. I'm willing to try them, if the price is right. But in most cases, it isn't. 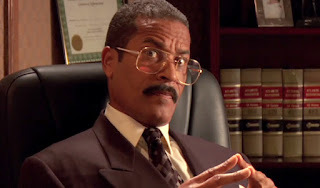 I'm not trying to be insubordinate and churlish. I'll point to an example near and dear to my heart: Laphroaig's Quarter Cask, which I love, is currently only $4 cheaper than Laphroaig's 10 Year Old signature dram (edit: they are, as of Sept 2017, essentially the same price). Do I feel this is fair value? No. And the economics support my argument. There is an objective, market correlation between age and price. So I won't buy the Quarter Cask anymore. I won't turn it down if it's offered to me, but if I'm spending my dollars, I'll buy the Ten. Or something from another distillery. Laphroaig's QC was about $17 cheaper than their 10 Year Old when it was released. Over time, the Quarter Cask's price has crept up while the price of Laphroaig 10 has remained fairly steady. I doubt they are using more mature malts in Quarter Cask these days, it's just a cash-grab. Of course, the LCBO is probably just as guilty of gouging as the distilleries are. 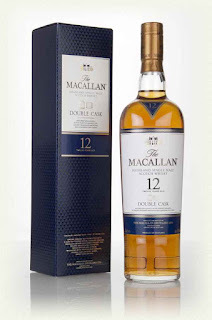 Macallan Amber is exactly the same price as Macallan 12 Year Old Double Cask. 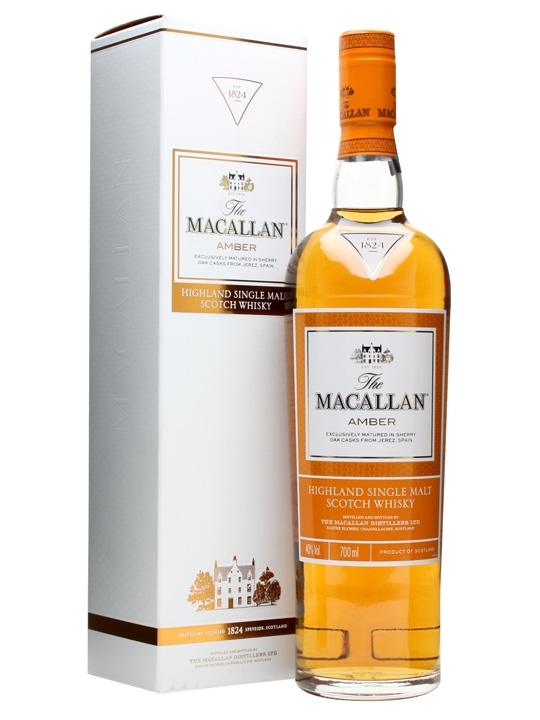 At $100.15 for either Macallan, it's a risky proposition to "just give NAS whisky a chance". The Macallan brand carries a certain reputation for quality, but do these new expressions live up to the hype? I'm not sure, and I'm not spending a hundred bucks to find out. If distillers want to increase consumer confidence, perhaps they should include tasters of their NAS expressions alongside classic malts. If Talisker included a 30ml sample of Storm alongside their $100 bottle of 10 Year Old, I might eventually find it reasonable to save ten bucks and buy a bottle of their NAS whisky. Maybe. But I'm not dropping $90 to find out if I like Talisker Storm. Caramel colouring and chill-filtering are less important to me personally, but again, distillers should be more forthcoming with this information. Some, such as Glenlivet and Springbank are transparent where this is concerned and they should be commended for it. Most distillers have yet to answer clearly when it comes to the relation between age, quality and price. To wit, why is the age of whisky irrelevant with a $185 bottle of Talisker 57 North, yet age matters immensely with a $2000 bottle of Macallan Sherry Oak 25 Year Old? You can't have it both ways. Either age matters with regards to pricing or it doesn't. Corporate spokespeople who refer to their critics as "ill-informed, ignorant hot-heads" would do well to remember the free market is a democracy. We vote with our dollars.